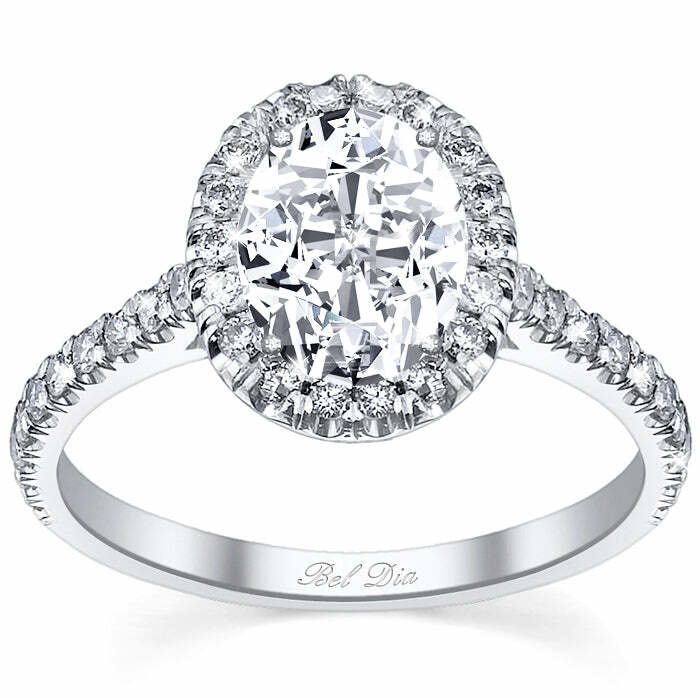 Home » deBebians Fine Jewelry Blog » Do You Hate Your Engagement Ring? Finding the perfect husband-to-be is difficult enough, and if you are like most women, you want your engagement ring to be the perfect fit as well. But what should you do if your dream beau proposes but you’re not over the moon about the engagement ring? Would you tell him if you didn’t love your engagement ring? If you have decided that even though you love your fiancé, but simply cannot live with the ring, it is better to speak to him sooner than later. Many jewelry companies have a limited exchange policy, so it will be better to speak to him before time runs out. Gently suggest to him that you choose a ring together or that you should both browse different styles so that he can get a better idea of what you would prefer to wear everyday for the rest of your life. If you have received a vintage ring that was a family heirloom, consider resetting the center diamond into a halo engagement ring setting, like this oval halo ring. If you have received an heirloom piece of jewelry, but would prefer a ring that was chosen and recreated especially for you, let him know. Tell him that you are truly honored to have been given an important piece of family history, but ideally you would like something more up-to-date if it doesn’t suit your style. You can even incorporate the antique ring into your new engagement ring by having the original center stone set into a setting for a halo ring. You and your husband-to-be can share creating your perfect halo engagement ring together, which will create even a stronger and more special bond between the two of you and your wedding jewelry.